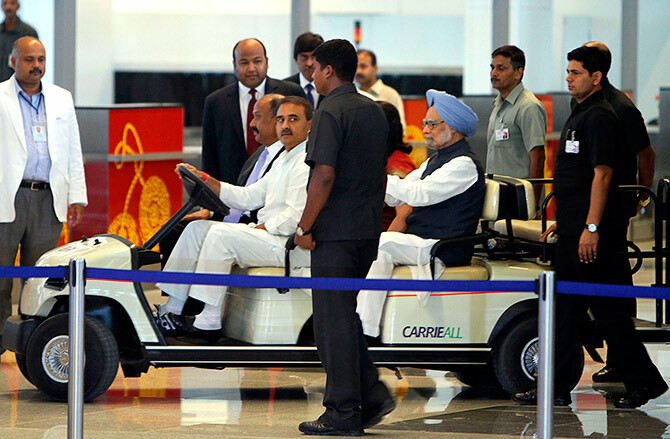 Rediff.com » Business » Which Indian airport is 1 of the most followed airports on SM? 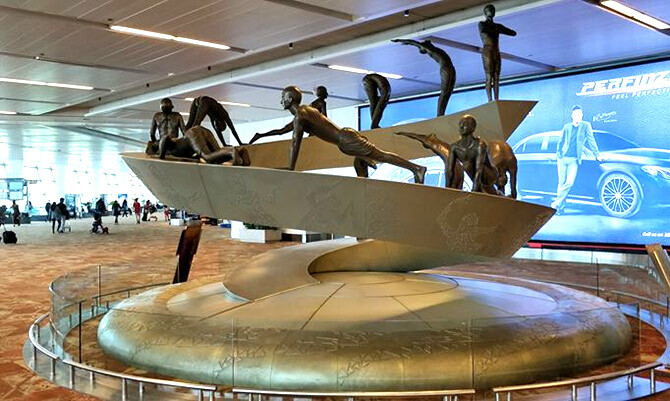 Which Indian airport is 1 of the most followed airports on SM? 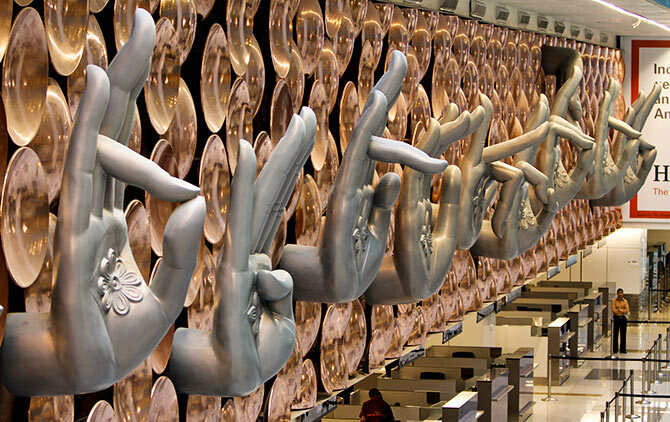 Delhi's ritzy Terminal 3 is on the global top 5 list on social media. 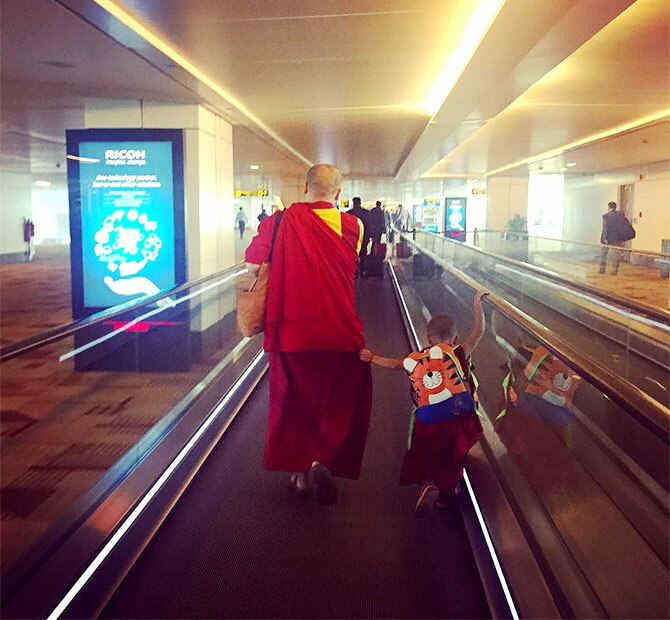 And the first among Asian airports on social media. 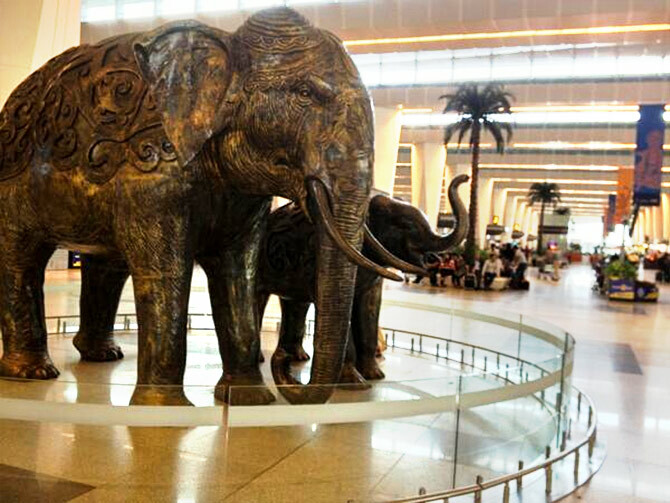 It is not every day that the mad bustle that is New Delhi airport gets a chance to upstage the swank sophistry of Changi, Singapore. Or sit at the same league table as the Heathrow, London. Except when it is on social media platforms. The Indira Gandhi International Airport is the first among Asian and on the list of top five airports globally on Twitter with a similar ranking (a few notches up and down) on other platforms too. 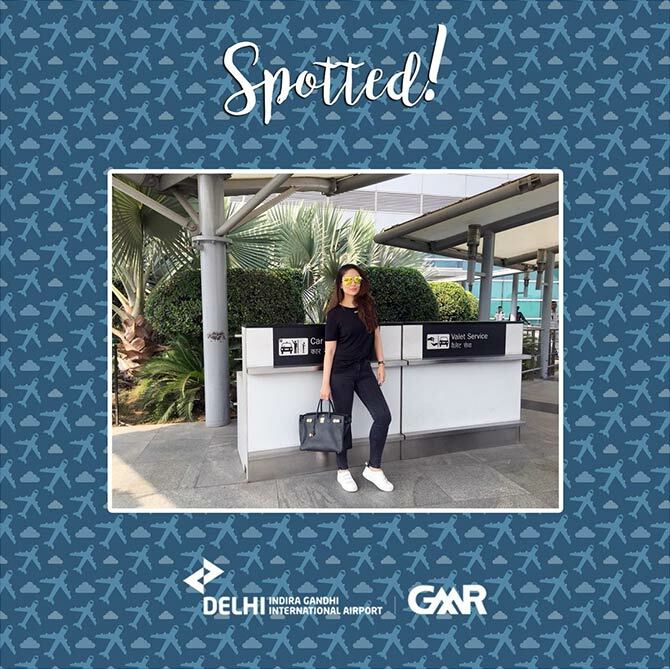 Even as it grapples with the rising swell of fliers and aircraft, IGI is learning to play by the rules of the social media jukebox; swinging to the beat of millions that walk through its gates and not just the airlines that ply its runways. "Our strategy is to serve three key objectives: Online reputation management, customer response mechanism and brand building. In other words, humanise the customer experience by engaging with our flyers digitally. 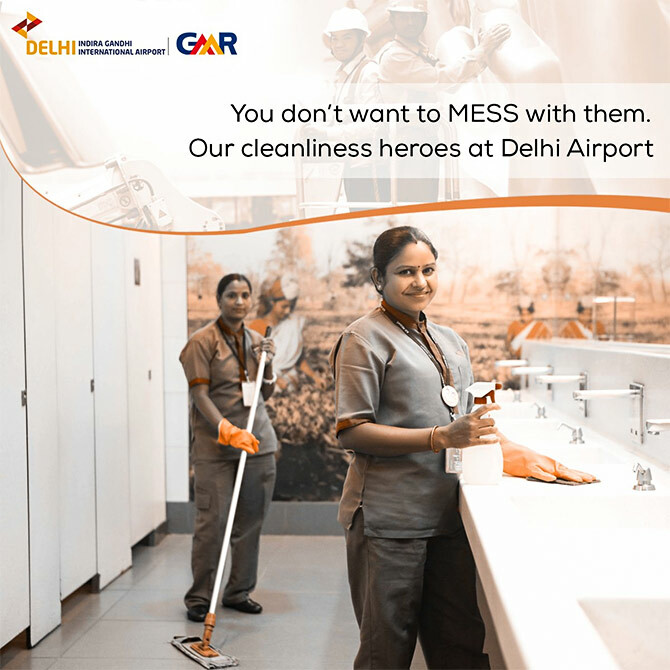 This is what we are doing for 365 days a year, for the last six-and-a-half years," says I P Rao, CEO, Delhi Airport, GMR Group. Social media has changed the way people interact with public spaces. Airports are doubling up as shopping malls with restaurants, spas and a bunch of other things. Passengers are not just in to board a flight, they browse, record their experiences and chatter about the facilities (or the lack of) on social media. An airport cannot afford to not be a part of their social network. 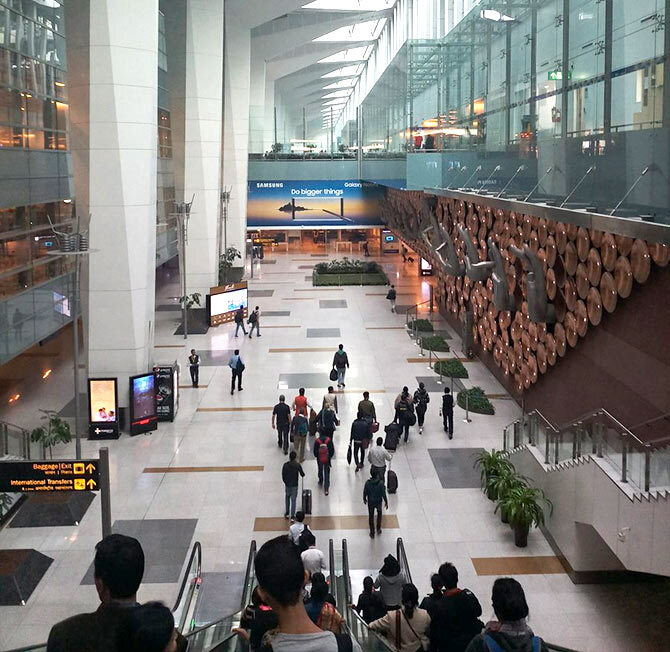 At last count, there were over 60 million passengers travelling through Delhi airport, the majority on some social platform -- talking to friends and the authorities for help, complaints and other issues. "Airports," says Rao, "are more than standalone aviation infrastructures. They are now multi-modal, multifunctional enterprises, like a mini city with all the conveniences." 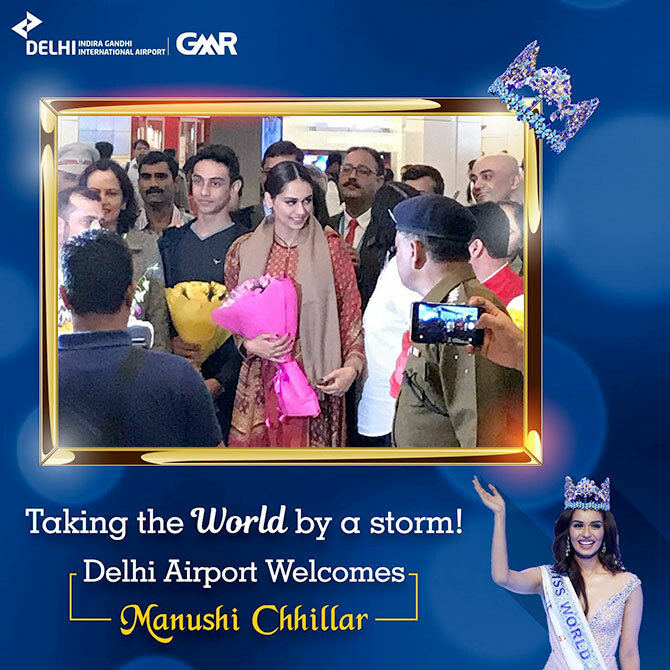 The social media team at the Delhi airport has been focused on building a brand that understands the new social mores. And on February 13, 2018, it led the Asia table on Twitter with 78,658 followers, Changi had 72,895 and RGIA, Hyderabad had 62,178. It still has a long way to go on the global scale, but it is among the top five in a list headed by Heathrow airport (469,083 followers). "It shows that they are taking social media seriously and we are very happy. 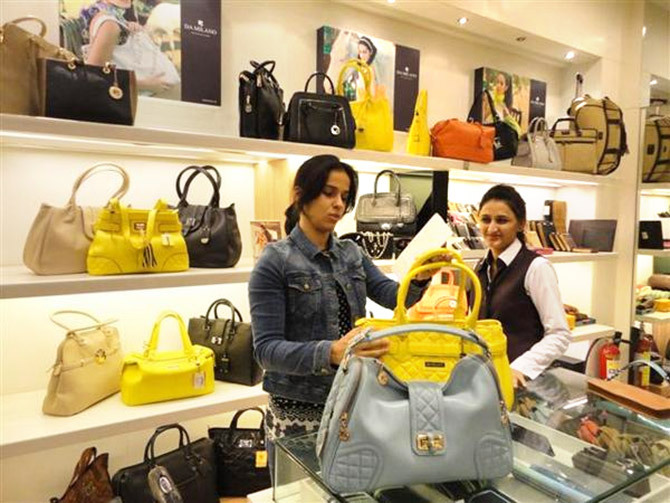 It is important," says Sanjiv Kapoor, Vistara's chief strategy and commercial officer. "For example, if there is fog in the airport, not only the airlines, but also the airport can inform the customer proactively. It is good to have other stakeholders visible and accessible to the public." Followers alone do not make a social media star, response time to complaints and the ability to engage with passengers, to guide them through the facilities or provide them with necessary information, matter as much. 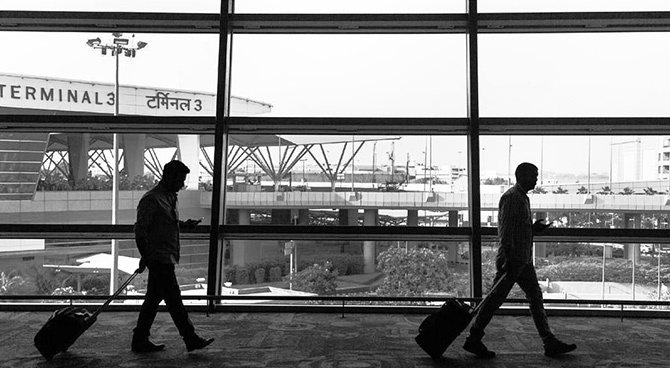 For Delhi airport, Rao says, response time is 30 minutes for direct complaints and 45 minutes for indirect complaints received via social media. Apart from swiftness, he says, the responses are personalised and humane. And this is despite the fact their team is smaller when compared to Changi and Schiphol (Amsterdam) airports. 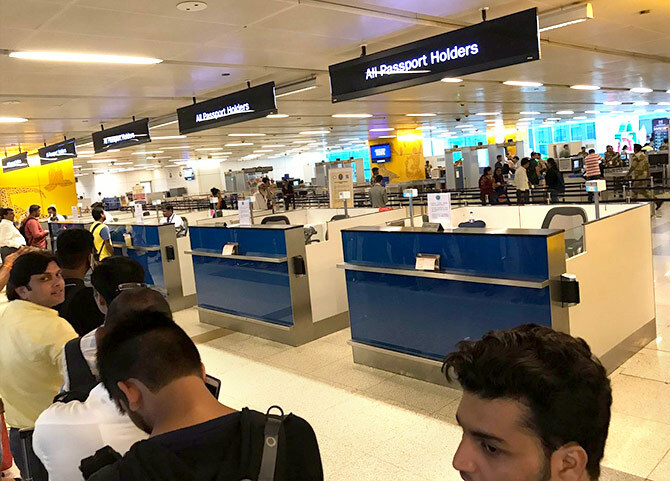 B Govindarajan, chief operating officer, Tirwin Management Services said airports are leaving nothing to chance to be customer (airlines) and consumer (passenger/users) friendly. "Airlines can be attracted by lower tariff, more aircraft parking slots, faster baggage in-line screening etc, for passengers they focus on shopping and information," he says. 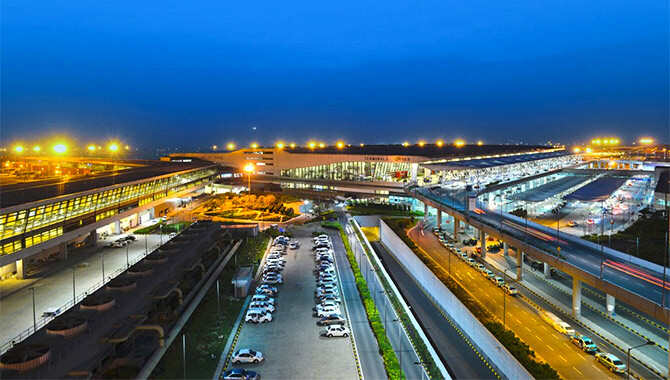 Klout, an online social media analytics and ranking platform, has placed Delhi airport on top in the Asia Pacific region with a score of 74 out of 100 and third globally where Los Angeles airport tops with 88 points. The digital content buckets are divided into shop, eat, relax and fly. Besides the advisories and assistance required for emergency situations. The social media team tracks celebrities and human interest stories too. "People use social media is to know the availability of select products and price," says Tirwin. The airport is now a mall that caters to diverse interest groups and the team keeps an eye on customer choices. Celebrity spotting is another big draw. 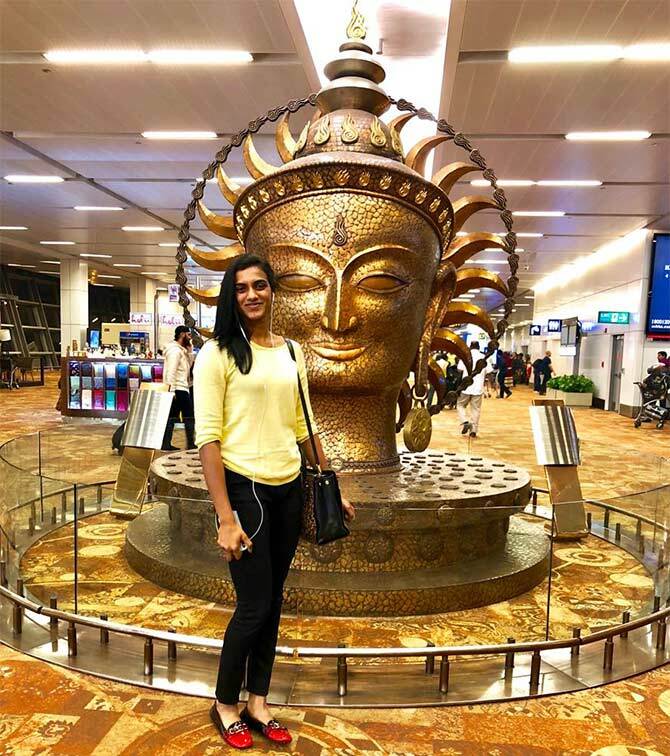 The Delhi airport handle regularly posts images of celebrities passing through its portals: P V Sindhu posing next to the Sun God statue. 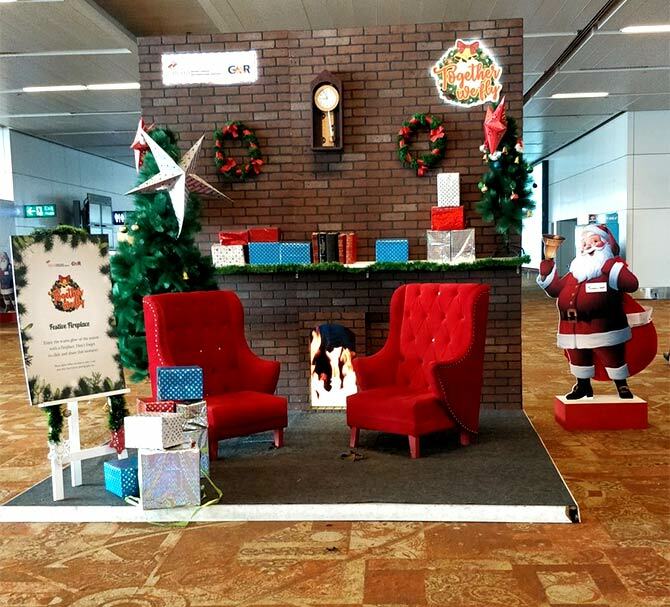 Saina Nehwal enjoying the Christmas décor. Bollywood star Kareena Kapoor Khan just outside T-3. It means that the social media team has to be on its toes night and day. After all, an airport never sleeps, not on the ground and not on social media either. Every airport has a special feature that pushes it up the social media charts. 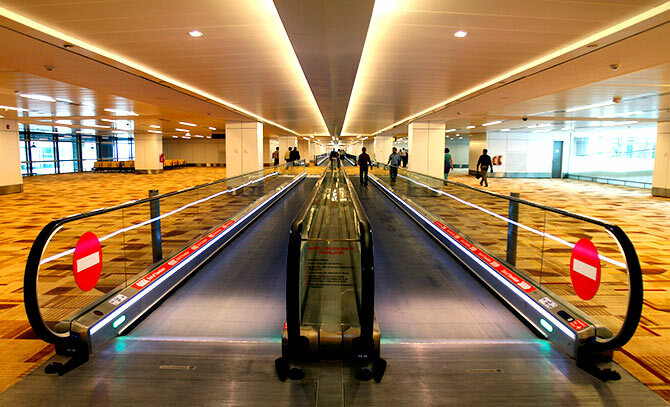 Changi, Singapore: Great offline-online integration and passengers are their online ambassadors. Strong on Facebook. Schiphol, Amsterdam: Big on communicating in the native language. Most traction received on their pages pertains to the posts where they're communicating in Dutch rather than English. Heathrow, London: Personal connections with passengers high, projected as a friendly warm space. Why are our airports in such a mess?